My daughter is about to be nine years old this Summer. So she is at that stage where she wants to play with barbies and dolls one day and then the next day thinks she's too old for them. She's definitely more of a craft and books kind of girl already. 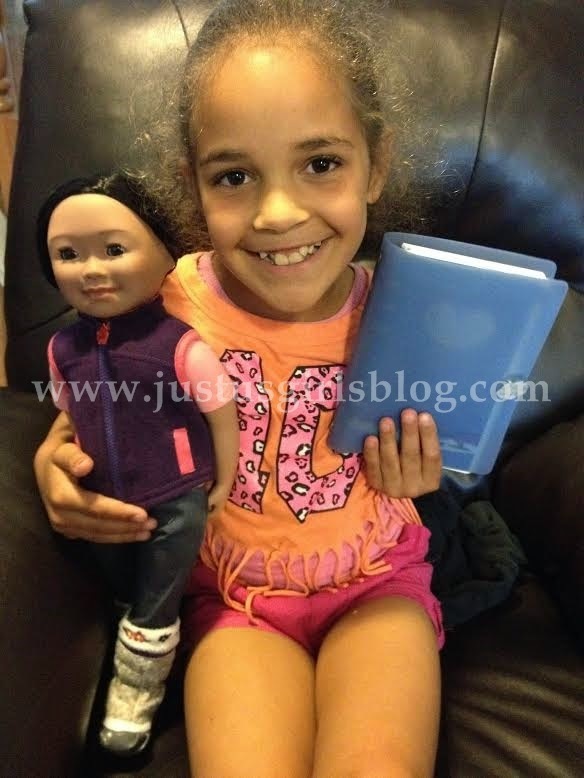 So I was really shocked at how much she took an interest to the Maplelea Girls when we were offered a doll to review. She was super excited. She got to go on their website and pick out one of the six dolls she wanted and decided on Saila. After she was done picking out which doll she wanted she couldn't wait to receive it. I'm so surprised it took me this long to realize we had Canadian made dolls here for our little girls. Although I am American, I married a Canadian and am raising kids here in Canada, so I was really excited that these six dolls each represent the different parts and cultures in Canada. Each doll comes with a beautiful outfit along with a journal that shares their history and background. The journal also shares with you how to take care of your doll and their hair. 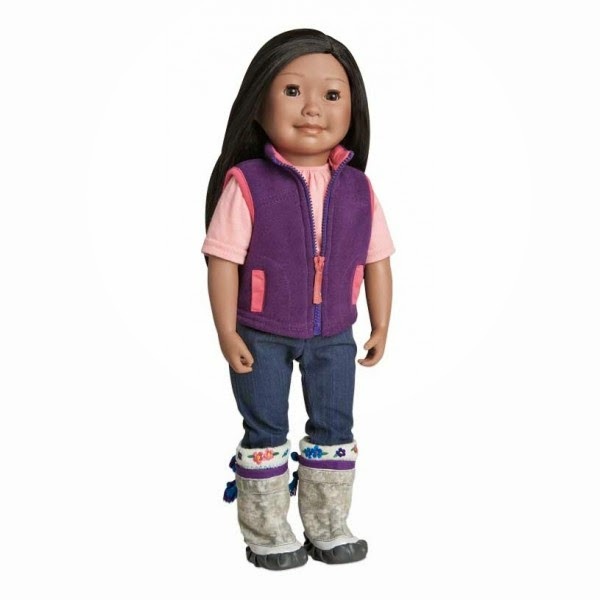 If by chance your doll gets hurt or injured, you can call the Maplelea Spa and the doll will be replaced (for details about cost be sure to contact 1-800-668-4339). Once we received Saila, which came in a big blue storage box that included the doll and a journal filled with lots of information about Saila and her background. I think this is one of the big things that sparked my daughter's interest. Not only did she have a doll to take care of, but she got to actually read facts about where the doll came from and her family. I would have to say playing with Saila is one of her favorite things to do when she comes home from school. Although she's been loving the weather outside and playing outside, I do notice once she's in the house for the day, she opens up that journal with Saila in her arms and keeps on reading about her doll's history. There is even room in this 64 page journal for my daughter to write in as well. I've been loving hearing different facts about Saila from my daughter and love how much she loves this doll. We've had Saila for almost three weeks now and I like that my daughter is still playing with her just like the day she first got her. Along with the package we received, we also got a Maplelea Girls Catalogue that included lots of different accessories and clothes that we can get for our doll. For more information about Saila and the other Maplelea Girls be sure to check them out over their website. While you're there be sure to sign up to get their free catalogue so you and your little girl can look at all the Maplelea Girls have to offer. Disclosure: All opinions are my own. I received the above mentioned Maplelea Girl at no cost for the purpose of this review. No other compensation was received. Get Clean This Summer w/ @KandooKids Body Wash!